I was at a lunch with Anastasia last week to celebrate the Anastasia Beverley Hills brand arrival into Selfridges and what a great lady she is. I don’t go to many events these days but I’m so pleased I went because she spent time with each of her guests, making a huge effort to mingle and chat. I’m telling you, that’s quite unusual at this kind of thing. It was a chance to get to know her product range a bit better as well – I’m not massively into brows (I do almost nothing to mine) but of course, I do love make up, so I have a few bits and pieces that I’ll be reviewing over the next couple of weeks. 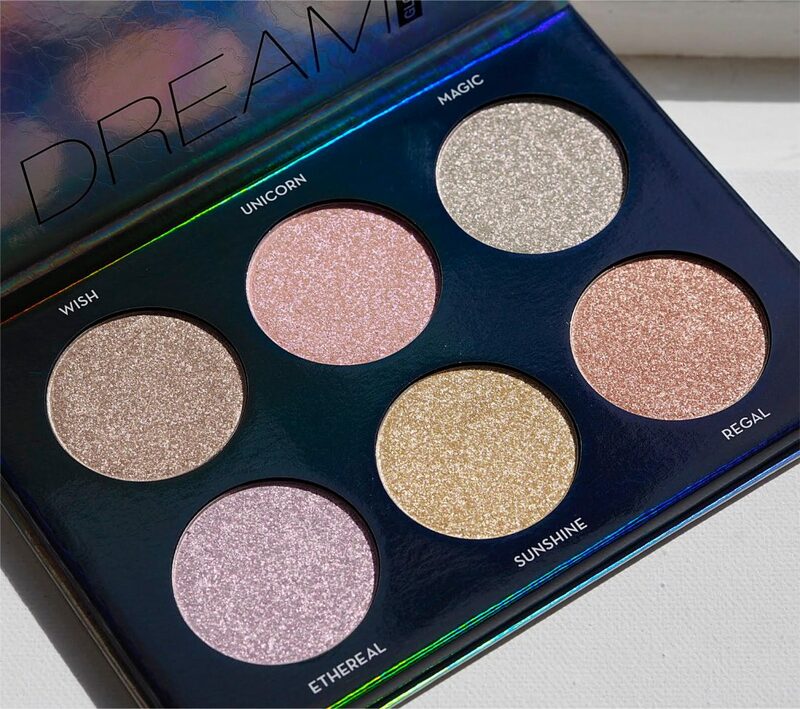 But, first up is the Glow Palette which is illumination-extra and then a bit more after that. 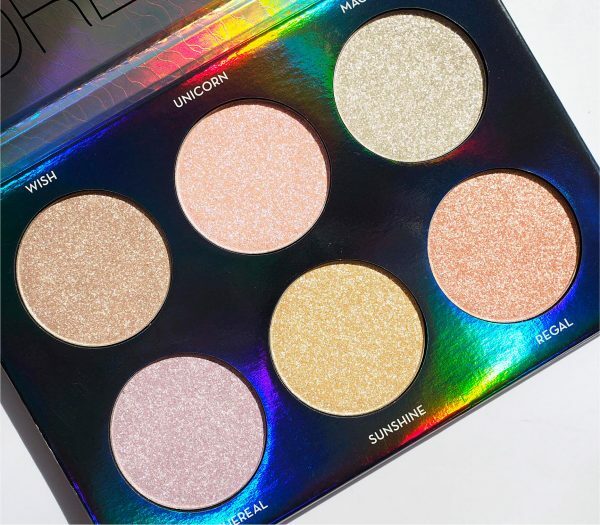 I’d need some kind of super camera I think to properly capture the sparkle elements of this palette because they are off the scale. Each colour has such dimension and depth it’s like looking at a constellation, and the holographic nature of the card casing exacerbates the light bounce. Really, it’s quite something and perfectly built for that particular skin glow that you can see from across a room. This kind of oiled powder isn’t supposed to be spread on the skin like butter (and like I have in the swatch so you can see the shades properly) but to be buffed in light amounts over the complexion wherever you want to glow. A little will go a very, very long way unless you want to be seen from space. 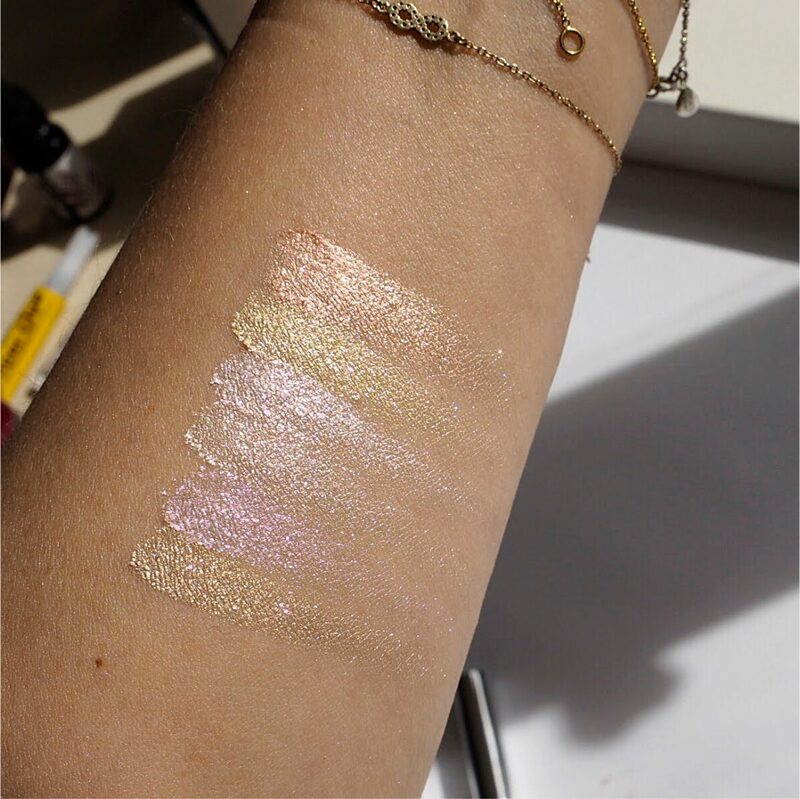 Shades from bottom to top are: Wish, Unicorn, Magic, Ethereal, Sunshine and Regal. 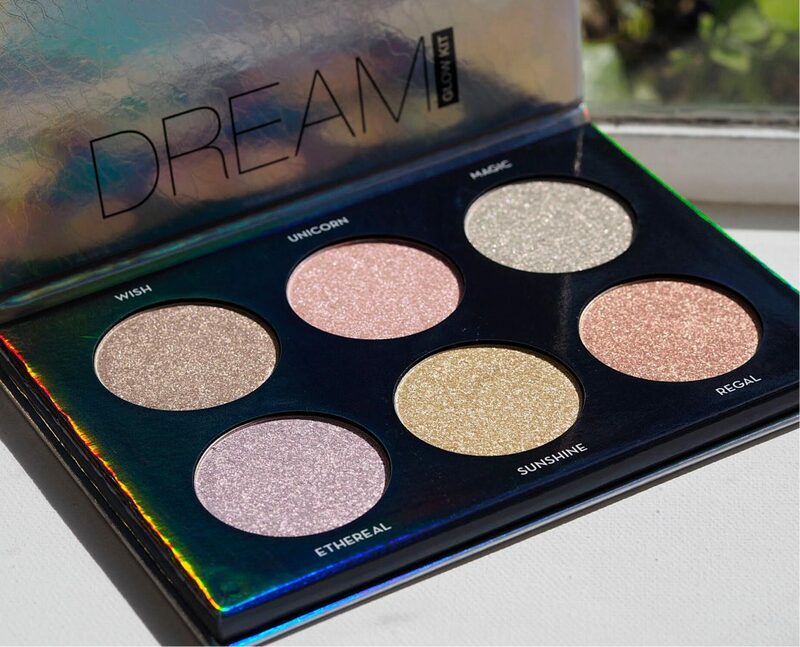 You can also put a wash of any of the shades over eye shadow – I’m looking straight at Wish and thinking how well it would go over a deep brown shade, for example. It’s expensive at £46 HERE but I feel with such a little going a long, long way, it’s going to last and last.